The Orientation of the sky, from the Earth. 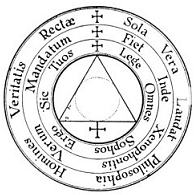 The 360 degrees of a circle are known as azimuths when related to direction. An azimuth of zero degrees is True North. There is a North Pole and a South Pole. A compass needle points along the north-south axis. 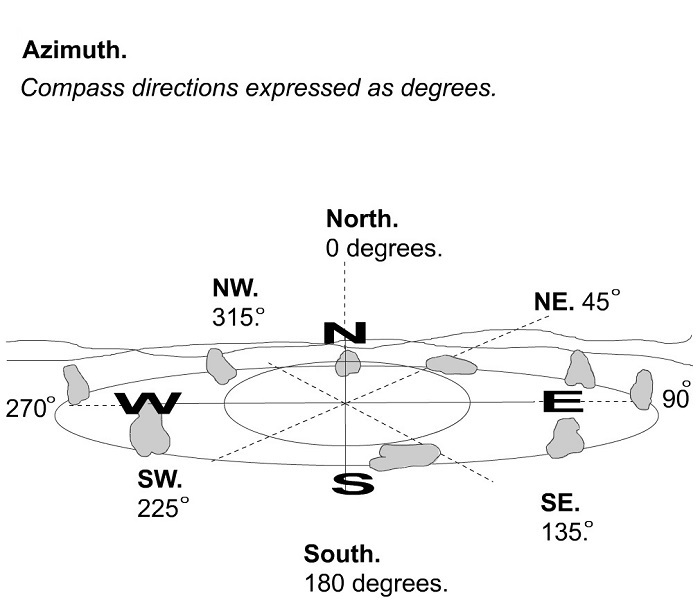 A compass needle can only be a rough guide because magnetic north, and celestial north are not the same. Magnetic north moves, and this movement must be factored in to any recordings from a site, by checking the magnetic declination of that area. 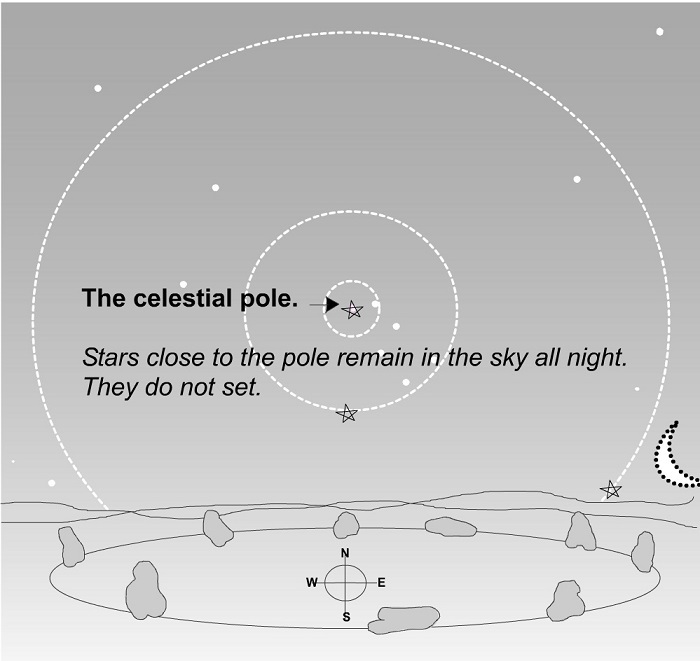 The Celestial Pole is the part of the sky where the stars move least. The angle of the pole from the ground, its elevation angle is equal to the latitude of that location. The Celestial Pole above the location known as the pole of the Earth, is at the zenith. The latitudes of the Earth's poles, are both 90 degrees. The Celestial Pole above the location known as the Equator, is on the horizon. The latitude of the equator is 0 degrees. The elevation angle (or altitude) of the celestial equator is 90 degrees to the celestial pole. 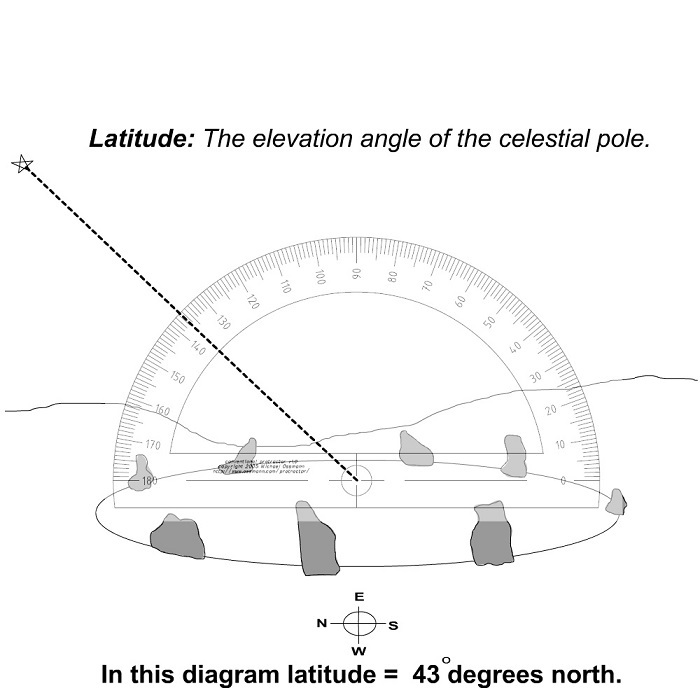 This means that in a location (Stonehenge for instance) where latitude = 52, the celestial equator will have an elevation angle (angle from the ground as zero, upwards) of 90 - 52 = 38. 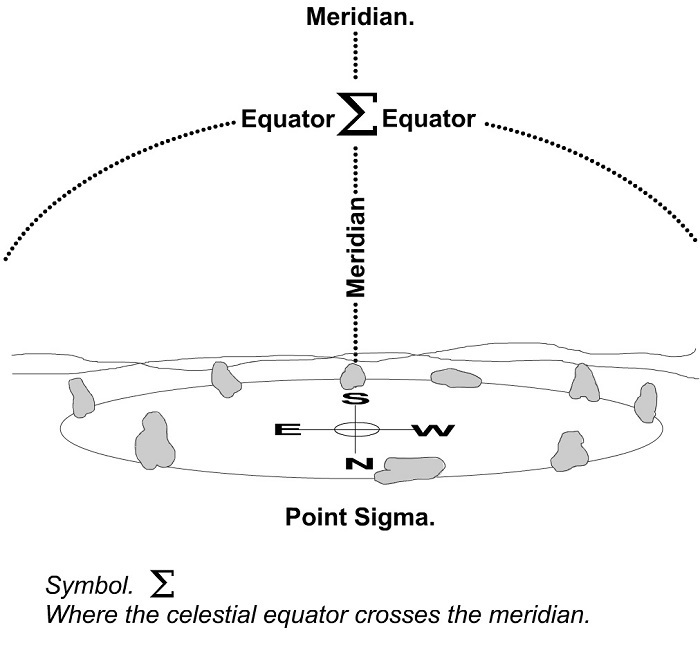 The equator and the meridian must cross once above the horizon and once below it. The point of crossing above the horizon is called the equator point, or sigma point. 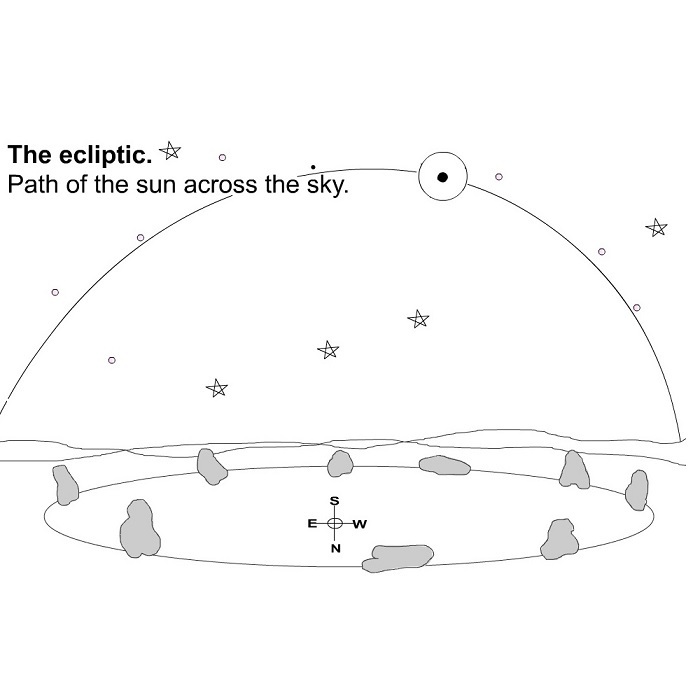 In this diagram it is shown as if you were standing in the northern hemisphere, and sigma is in the south. The location of point sigma depends upon your location.